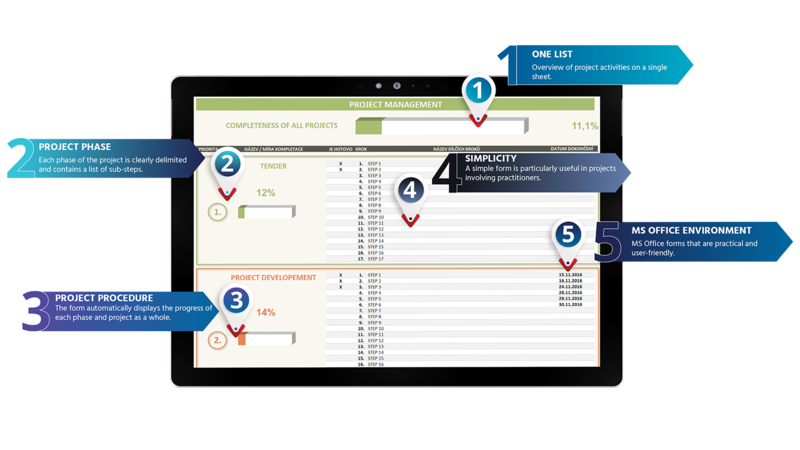 Professional forms for project management ranging form simple to complex ones. Professional data visualization. There is plenty of software and tools available for project management. 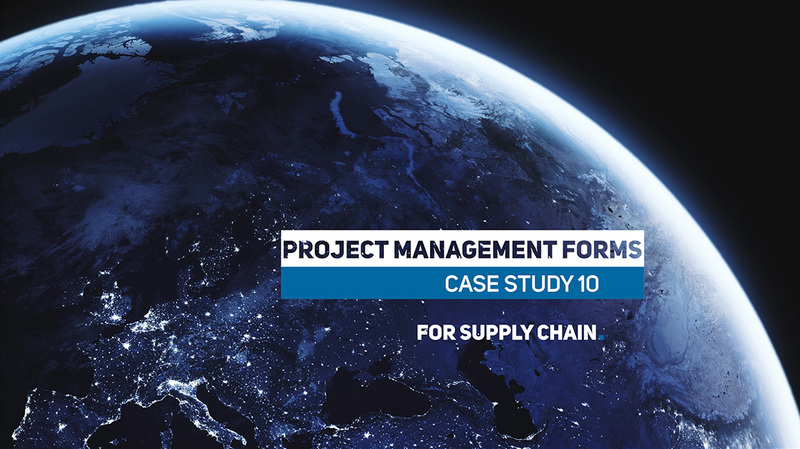 In our experience in the area of supply chain management the best solution in projects which involve employees who are not professional project managers are simple project management forms. Inspired by a long-term collaboration with our client we created a simple checklist for project management. Later on, other clients started using the same form as well. On a single sheet in MS Excel, the user can see everything he/she needs to review the status of the project. The project is divided into individual phases. Each phase contains a list of tasks to be performed during the phase. Each activity has a responsible person looking after it and the date by which it is to be completed. The tool monitors and graphically displays the process, both in each phase and in the whole project. Based on years of experience, we are convinced that it is most convenient to use standard office programs for forms of all kinds, especially MS Office tools. All of the offices have nowadays access to such programs and such programs are very flexible even for us, developers. We have created hundreds of forms for our clients over the years, such as the Automated Delivery Note or Tender Management Forms. We can incorporate complicated macros or other code into the forms where it is needed. All our solutions are built on professional graphics design and maximum user-friendliness.